Double the sticks, double the joy. 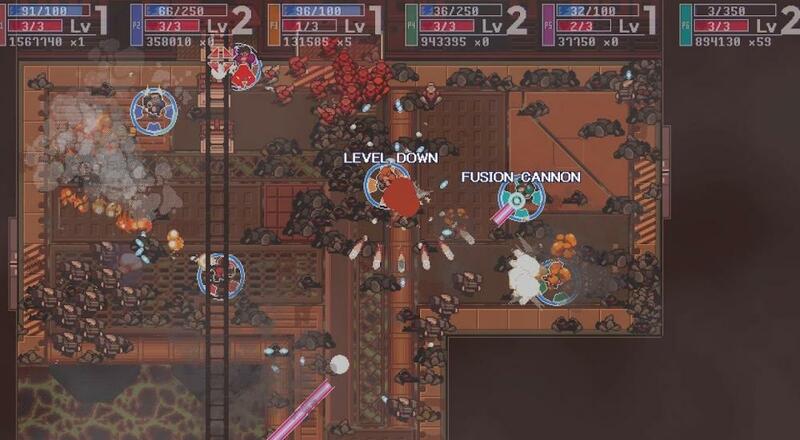 Circuit Breakers, a game involving robots, guns, and the use of two joysticks at the same time, was originally slated to fall into the waiting arms of console users around Spring of this year. Unfortunately, the developers decided they needed just a little more time to polish things up, pushing the game to a July 25th release date. It's looking like that was enough time to get the PlayStation 4 version of game where they wanted it, but they've had to push the Xbox One release back a bit to August 8th. All those Sony users can start tearing into CB's six player local co-op, but you Microsoft adherents will have to make do with the most recent PS4 gameplay trailer, below. Circuit Breakers aims to recall a time when you and your friends could crowd around an arcade cabinet in a dingy Pizza Hut and just shoot baddies until either your arms got tired or your allowance ran dry. There are a few unique characters to choose from, and lots and lots of miscreant robots for them to destroy. It's also available on PC, in case you're allergic to couch fabric or something.